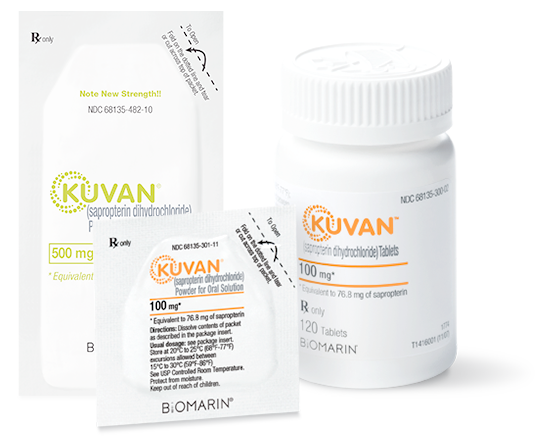 KUVAN Powder 500 mg is a convenient option to help better manage your PKU. 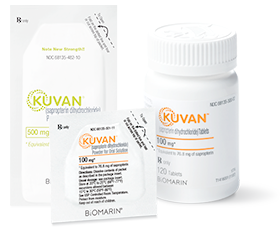 Some insurance plans may require a second co-pay for two forms of the same medicine (e.g., KUVAN 100 mg Powder and KUVAN 500 mg Powder). If this applies to you, BioMarin RareConnections™ may be able to help provide resources for financial assistance.